What is The Wild Goose Festival? This information is meant to answer most of your questions regarding access. The Wild Goose festival is held within the beautiful Hot Springs Resort Campground set along the banks of the French Broad River. This is a primitive campground with unpaved dirt roads and pathways that weave throughout the grounds. These roads access the festival activities and campsites. They can be uneven from traffic and roots in certain places. Volunteers will be available if any assistance is needed. A Shuttle will be available during the Festival. This Shuttle runs continually, looping around the Festival Site Only (which includes the parking area) from 8 am – midnight. It is free for anyone needing mobility assistance. Campsites can be accessed in multiple areas throughout the campground. There are sites nearer the bathhouse and available on a first come, first served basis. Guests can be directed to these sites once they arrive at the gate. There will be accessible bathrooms/comfort stations near the main stage and gathering areas. They will also be in key areas throughout the festival grounds. An accessible shower is located in the bathhouse near the front of the campground. There will be a few power outlets, which can be used for recharging wheelchairs and scooters. We ask that guests understand they use this power at their own risk. Wild Goose cannot take responsibility for any personal equipment. Please refer to the festival map for the location of this area when you arrive. As this is a more primitive venue we are unable to provide electricity throughout the campsite. Guests who need electrical power to operate medical devices overnight will want to make arrangements for off-site housing. Wild Goose has access to some off-site housing. Please contact Carrie Craig at carrie@wildgoosefestival.org for more information. 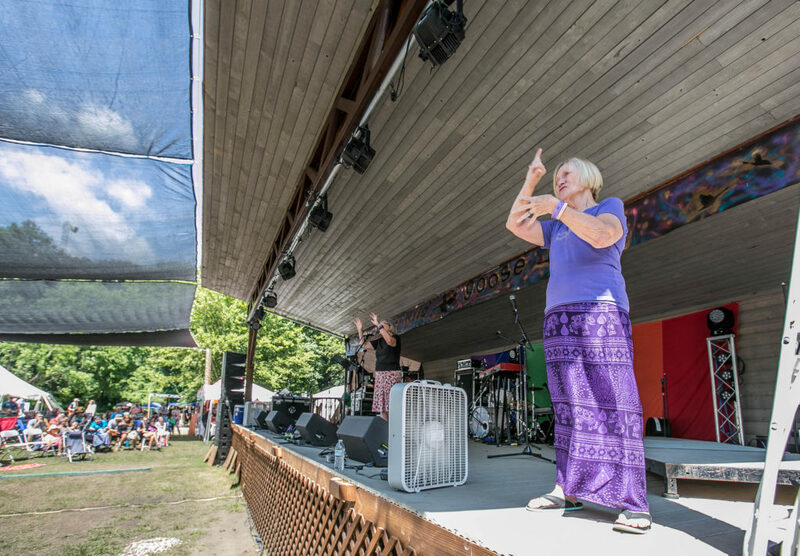 Sign language interpreters are available at the festival. Please contact Carrie Craig at carrie@wildgoosefestival.org to request interpreting services. If you are a qualified sign language interpreter and would like to contribute your talent to the sign language interpreting team, please contact Joanna Ciccarello at joannacicc@gmail.com.